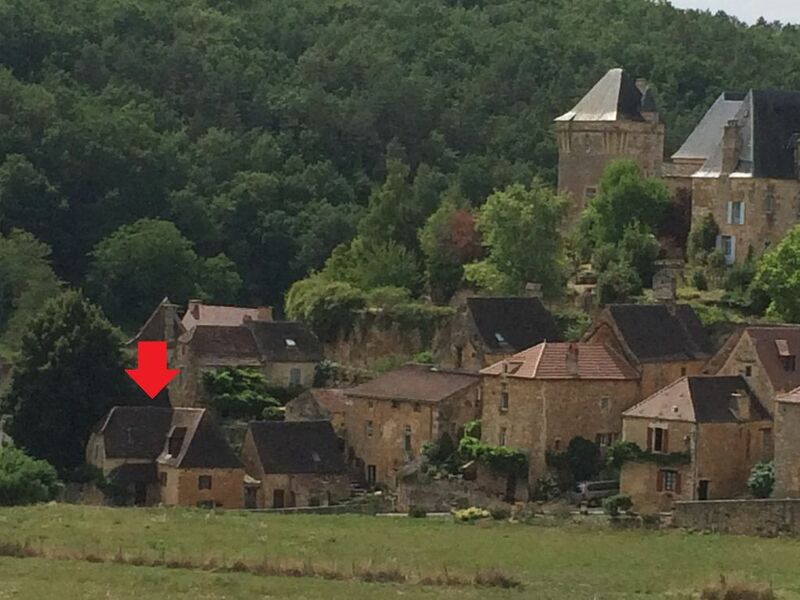 Welcome to our charming stone house located in one of the most beautiful medieval villages in Perigord, Berbiguières. The house is full of charm but offers all modern comfort needed for perfect holidays. French-Belgian couple with a passion for good food and wine. We fell immediately in love with Berbiguières and especially this charming stone house because of its fantastic setting under the castle, its pure authenticity and the great peace and atmosphere of a typical medieval village. Fully equipped kitchen with stove, dish washing machine, refrigerator, microwave, oven, etc. Your private pool and outdoor kitchen is situated within a nice garden where you can relax. Follow the sun...3 outdoor areas are available (east, south, west) so you can enjoy the sun the whole day and evening. In each area outdoor furniture is provided. Private pool (8x4m). 6 comfortable loungers available. Fantastic house and pool. Everything you need to make beautiful memories. This was such a lovely place to stay. A very pretty, quiet village a little away from the hustle and bustle of Dordogne tourist hot spots but within just a short drive of all the places and activities of the area. 10-20 mins got us comfortably to Les Eyzies, St Cyprien and La Roque, for example. The house felt spacious, was very well appointed and equipped, and remained refreshingly cool on the hottest of days (temp up to 34 during our end of June stay). There is an excellent separate pool area, very private, but with lovely views up towards the manor house and village. The pool house has a gas barbeque and its own loo, fridge and cutlery/ crockery supplies so incredibly convenient for outdoor meals and drinks. The pool is clean, well maintained and a decent size. We went canoeing, hot air ballooning, visited castles, grottos and troglodyte caves. We need to go back because we barely scratched the surface of what was on offer. We went as a couple and the whole thing was very romantic, but would be just as good for a family. If you happen to be veggie, we can recommend a little veggie cafe in Les Eyzies, nearly opposite the tourist office. Opens during the day and, on request, will open for booking guests in the evening. Le Grand Roc cavern was superb and we loved canoeing on the Dordogne but even more on the Vezere from Les Eyzies. Begnac castle also excellent. A great week. We were very well looked after by both Christophe, the owner, and Christine, who lives locally, caretakes the property and greets you on arrival. Christophe has been extremely responsive and helpful by email, both before and after our stay. The whole experience can be highly recommended on all fronts. I cannot speak more highly about this property, the owners (Christophe & Sandrine), and the help we got from Christine and Philippe our local hosts. And as for the village - it is an absolutely surreal place to be! Amazing!! My wife and I, and our three young children, spent 8 nights here and it was probably the highlight of our 5 weeks in France as a family. The Dordogne region is beautiful and there is plenty to do. You could be busy every day if you wanted to (but you won't want to staying here). Amazing archaeological sights, stunning chateaus, gardens and plenty of other activities. Even our five year old easily manage a 28km canoe trip down the river - with amazing castles in full view. It really is a beautiful part of the country. And compared to Australia the wine and beer is dirt cheap!! The village of St Cyprien is only about a four minute drive and it is very charming. There are some restaurants there and decent pizza and places to have a drink. But if you want something a bit more special, fine dining with local ingredients and an amazing country setting, the restaurant in nearby Marnac (Ferme Auberge Des Tilleuls) is the place to go. Fantastic and one of the best meals we had while in France. The property itself is excellent. The main bedroom has a huge bed that is very comfortable! Every bedroom is exceptional. The oven is great and the lounge room is ideal. It's very tastefully decorated and comfortable! The highlight for us though was the pool area and we cooked meals out by the pool. The kids had a blast and didn't want to visit castles and ancient wonders because playing at home in the pool underneath the stunning chateau and exploring the alleyways of Berbiguieres was the best fun for them. Christophe's communication was outstanding and Christine and Philippe (the local hosts) were super helpful when I got a puncture in the lease car and when I left a leather jacket in the cupboard. Overall it was a wonderful experience for us Aussies. We were made to feel at home and it is truly a special place. We stayed in a far more expensive place in Provence and later in Paris - and quite honestly they were disappointing experiences after our stay here. Thanks again Christophe & Sandrine, and Christine and Philippe! Great place , great house. Really helpful people. Christophe really made a great effort to make sure our stay was a relaxing one, with lots of great advice for things to do. The house is beautiful , you feel yourself unwind the minute you unpack. The house is equipped with everything that you possibly need. The beds were super comfy, I can be a light sleeper but I had great sleeps there. Everything was really clean and in good condition. Superbe village, maison très bien équipée et pensée, piscine au top et au calme. On reviendra! Perfect area for kayaking, hiking, cycling. Medieval villages, prehistoric caves, fantastic nature. Also the ideal place for fans of fantastic food, wines and art de vivre.